Great song, “Flirting with Disaster” traveling down that lonesome road. Fits us all to a tee. Tomorrow I am traveling down that lonesome road to San Antonio, Tx. I am having major surgery to fix 3 aneurysms with a stent. Due to my age and my ongoing health concerns. There is a statistical probability that I might not come off the table. I am considered high risk and have to fill out a DNR before the doctors proceed with the operation. Once they put me under: I have a tendency to stop breathing 51 times an hour. They have to keep my lungs ventilated that is just for starters. I am on a ventilator every night just to sleep. If they’re hands slip and they cut one of the arteries I will bleed out on the table. The reason I bring this up is to point out a truth. We have no control over the Spirit of Life within all of us. We all are born and we all die, by our own hands or at the hands of others. In between those two points we have our soul that has been split apart into pieces when we stand up for the first time outside the womb. When we become conscience’s of the world around us. That is when the faces of men come into view and split our soul into two. By words and by their hands by feeding us their drugs words to bind our souls. The first day[Gen.1: 1 – 7] that’s the images of us as a baby in the womb. You have a body, arms, head and a set of eyes. Your ears , your nose, your mouth and your hands and legs are starting to form. That is you in your Mother’s womb how the ancients knew that is only by knowing complex mathematical structures that exist in the Laws of Nature around us, between us and above us. It was the ancient Sumerians, 4000 BC, that came with the idea of 360 degrees in a circle and 60 minutes to an hour. They also named the planets, Venus, Mars and indications of naming the planet Pluto. They also knew about stomach cancers and other ailments of human nature. They may not have understood complex mathematical structures but they saw the images in their mind and translated it to their everyday life from watching the Laws of Nature around them. They saw the spirit of God all around them. You feel the wind hit your face and you look to the horizon you cannot tell where it comes from or where it comes from. They saw it as the breath of God, who brought the rains to give life to their crops their animal to themselves. They saw life as a constantly spinning wheel always in motion everyday around you. They saw each day in the present tense the sun rises and the sunsets and them then the planets came out and danced the night away. When the sun came up that was your present because the past was behind you already. As soon as the sun rays hit your face life began another cycle of birth and death and everything in between that appeared your eyes. They could not see the future no more than man claims to see the future today. Weather patterns are another unique mathematical structure. You can make predictably algorithms of weather patterns but they only have a predictably shelf life of 7 days then they disintegrate into randomness across the land. Weather by its own structure has its own regenerative spirit to clean itself. 7 days of Creation? (he) created Elohim…..Two thoughts in these three words; Elohim or God if you please is always plural in the ancient Semitic and Aramaic and ancient Hebrew languages. 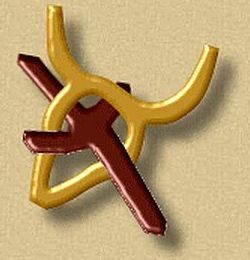 This image in ancient Semitic an Aramaic means ,”Aleph” it means the old Bulls teach the younger bulls. In the first seven sentences of Genesis, I know this is us in the womb, we were given the Spirit of Life enjoined by cords of rope with our Moms, her womb being the Creation of us by the hands of one God , ” I knew you before you were born……….” day one of creation in the womb……. (he) [lower case] created God. This is where men step out of their Nature the 8th day of his existence. Created his own evolutionary structures that are outside the Laws of Nature. They animated words into gods and goddess. You see this in Gen 6 . They created spiritual beings angels, satan, gods that all you had to do was ask for a favor and life will become better. Lucifer was referencing the planet Venus, philosophically it was talking about the soul the evil that exists within all of us. The three atmospheres one on ground one in the air one in the heavens. India is heavily into deities, 72 percent of society is illiterate they live in poverty, they have a caste system. They have not made any move in the fabric of their society for hundreds of years. Africa is in the same boat they have not taken charge of their own destiny they also have a caste system. South America is also in the same boat they also have a caste system that comes from Rome, Christianity. Islam in the Middle East is in the same boat they also have a caste system. 6:7 And the word of Aloha increased, and the number of the disciples increased in Urishlem greatly: and much people of the Jihudoyee were obedient to the faith. [KC] difference between priests and people one controls you the other you are controlled by the Laws of your Nature. Dear Lord, thank you for the example your Son has given us. We ask that You help us stay in tune with the Spirit and begin to step into the calling You have for us. We love you and thank you for being the GOAT! Amen you worship a GOAT now hmmm…. Son uppercase means he is a god. My child, settle down and stop your anxious thoughts and actions. Rest in me, Yahweh. Have quiet confidence and fully depend on me. Do not trust or rely on your knowledge, intellect, efforts or religious routines. Instead find your strength, by having complete faith and dependence on me. lower case me is a direct reference to his altars. God only gave you his spirit of Life within all of us. This is from a pastor like any others out there that made Jesus a god. In theocracy the firstborn inheritance darkness the second born inherits light. The difference between Ishmael and Isaac, Cain and Abel, I saw the light of the Laws of Nature as a man. Jesus was a man like me. Simple as that. Pope Francis has hailed Muslims as the “sons of Abraham,” following his controversial visit Morocco. He never tells you where the Middle East get their weapons and the people they have slaughtered like Hamas , the Taliban or the other terrorists groups out there. They get them from Russia primarily. The lawmaker responded to Trump’s remarks by quoting the words of Prophet Muhammad cited in the hadith – Islam’s revered recollections of the life of the prophet. I could go on for hours pointing out the words that control your destiny. God gave us life in the womb of the Woman and man destroyed our souls when we stood up and saw the faces of man. We rise yourself up into the atmosphere between heaven and earth by words of knowledge not by the words of men on the Ship of Fools. He created gods I rose from the grave that is philosophical paradoxes of images that reside in words. I do not have a doubt that my words will last for generations long after I am gone. Because one day I got off the Ship of Fools and planted my feet on the earth and started walking back to where I came from. The past is my present my eternity. Words become your gods, your guardian angels, your satan’s because you let yourself become mindless then life becomes chaotic and a world of random choices. That is so true. You might have black pupils but your eyes are like sapphires multi colors of the spectrum. Your last post made all my efforts worthwhile. I’m on my phone. As long as one surrogate daughter understands. Thank you from an old Rattlesnake a proud surrogate dad. I was referring to James is great. To clarify in the morning before I leave to San Antonio I will reblog it on my post. (Hugs) thank you! And all the best, take it easy. Hope and prayers your way it won’t be your last day. Thank you for your prayers family is what life is all about, great last two posts. Operation was long 4hrs. But made it, tired and alot of pain. In Intensive care at present. But ok. Just to let you know.